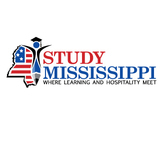 Study Mississippi is the a latest in a series of state higher education consortia created to promote higher education in a particular state to international students. I discussed this trend in two previous posts, including State Int’l Education Consortia: Strength in Unity (6.12.09) and Vietnam: Attracting Foreign Students to Maine (1.11.10). Other states in whose footsteps Mississippi is following are California, Iowa, Indiana, Maine, Oregon, Washington, Wisconsin and Texas. Continuing on the theme of “strength in unity,” this is a potentially effective approach to branding higher education in Mississippi and other states. The extent to which “potential” becomes “actual” depends upon the quality of the website and related materials and the level of inter-institutional cooperation, as well as marketing and promotion efforts in Vietnam and other high-priority countries.